The one of a kind tread compound gets the integration of higher Tg (Glass transition temperature) rubber in the Apollo Alnac 4GS. The tread design comes with larger outer shoulder that helps in excellent grip and vehicle stability over the surface especially during highway drives. The apt rubber compound results in precise steering control in city as well as on the long routes. The firm looking rib at the centre is optimised for better stick on the road surface. It also offers excellent grip during sudden hard braking under dry weather, alongside enhanced wet grip and better water channelling on a rainy day. The tyre is made available in single rim size of 15-inch and has 5 different variations to choose from. On the Alnac 4GS, Apollo offers a 5 year standard manufacturer warranty. 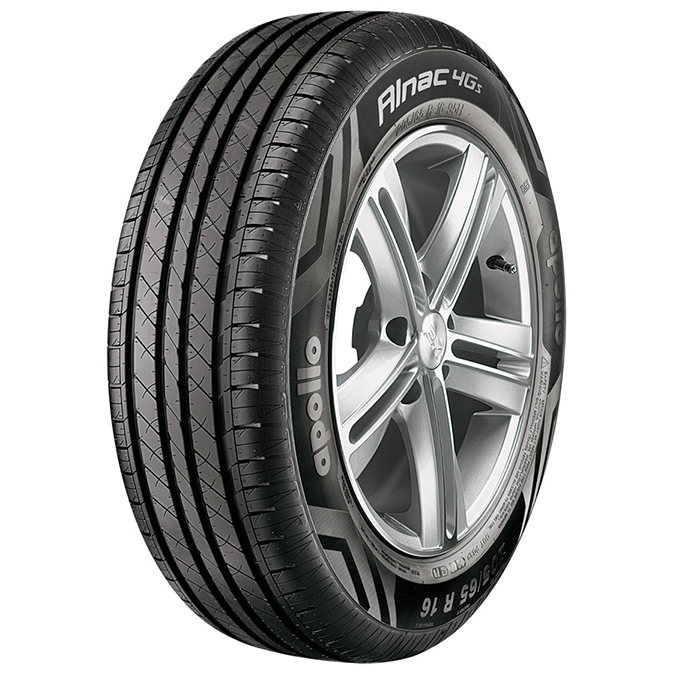 The Alnac 4GS is one of the most reliable tyre in its segment with long list of attributes. The tyre gets unique tread compound that is high on Tg (Glass transition temperature) rubber. The tyre receives unique tread design with large shoulder pattern. Specially optimized contact patch gets rigid rib at the centre for better traction. Confident steering control while changing lanes at high speeds. Superior vehicle control in the stop-n-go city traffic. Outstanding consistency of the vehicle during highway driving. Superior braking during sudden / emergency situation. Made available in 15-inch rim size and 5 different variations. Best manufacturer warranty cover by Apollo.